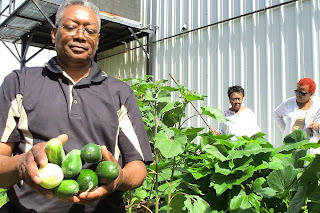 Baton Rouge, La - The Southern University Ag Center’s Eradicating Food Deserts in Neighborhoods through the Development of School Garden’s project has produced the first of many videos that will encourage healthy living among school-aged children and their families. Typically, youth engage in more sedentary activities during their “down time” than when school is in session. But, the Ag Center team had a different summer planned for a group of youth this year by partnering with Exxon Mobil’s YMCA and LPB to afford youth the opportunity to continue planting gardens and engaging in physical fitness activities during the summer to further reiterate the need to eat and exercise for healthier living. The skills that youth ages, 6-14 have learned are transferable to their homes, schools, and neighborhoods. Mr. Ron Smith, Executive Director for Exxon Mobil’s YMCA is an asset to the program and very “hands-on” with ensuring successful outcomes for participating youth. 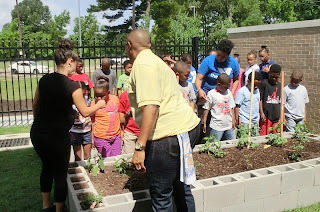 This is a USDA/NIFA funded Capacity Building Grant project directed by Tiffany Franklin, Extension Associate, assisted by Stephanie Elwood, Extension Associate-Community Gardens. The National Institute of Food and Agriculture is an agency of US Department of Agriculture. 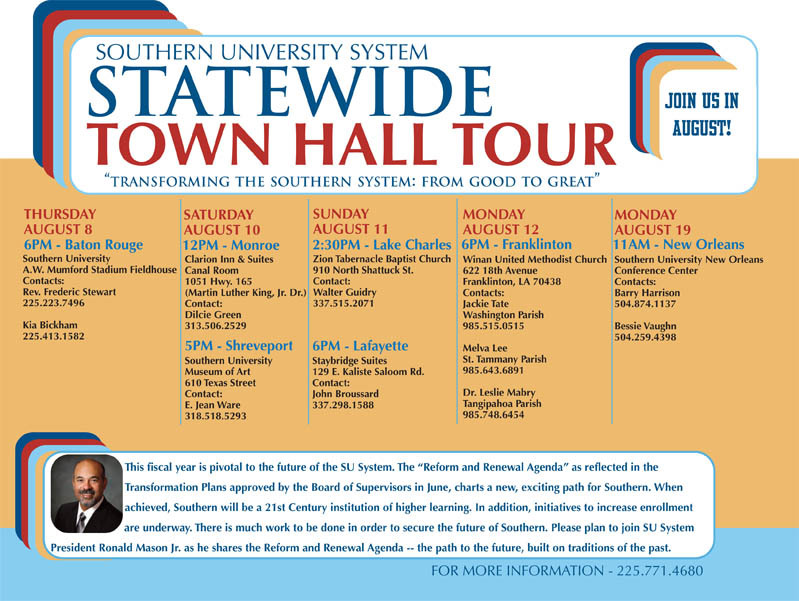 Baton Rouge, LA –The Southern University System will host a series of statewide town hall meetings for alumni, stakeholders, and supporters during the month of August. The tour, "Transforming the Southern System: From Good to Great," will include meetings in Baton Rouge, Monroe, Shreveport, Lake Charles, Lafayette, Franklinton, and New Orleans. The tour begins in Baton Rouge, Thursday August 8, and will conclude after a stop at SUNO on Monday, August 19. The detailed event flyer is available online. 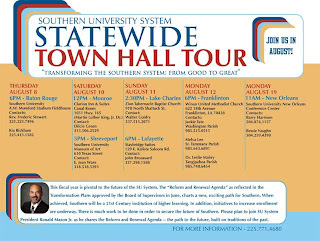 There is a change for the Town Hall meeting at Southern University New Orleans. Please see attached flyer for details. For more information, call 225.771.4680. 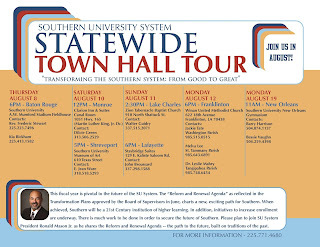 You’re invited to the Southern University System Statewide Town Hall Tour in August! 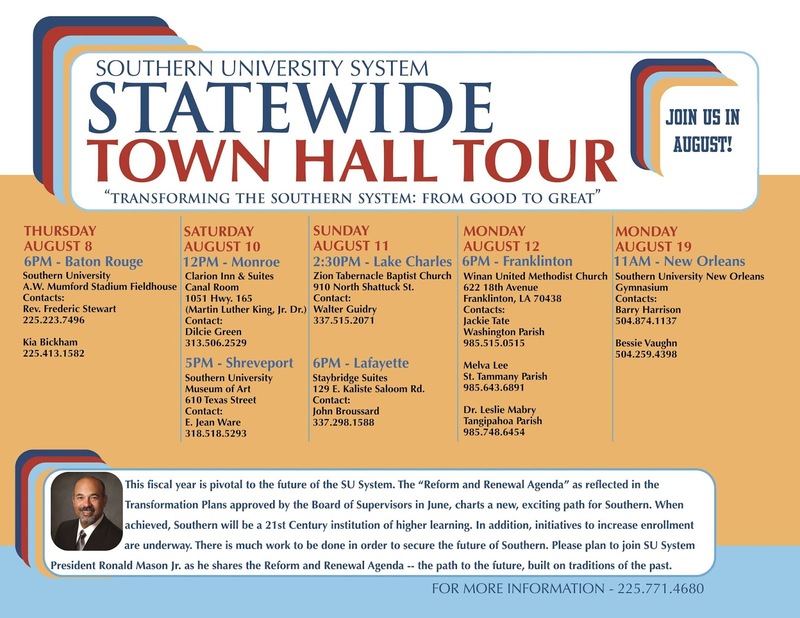 Baton Rouge, LA - The Southern University System will host a series of statewide town hall meetings for alumni, stakeholders, and supporters during the month of August. The tour, "Transforming the Southern System: From Good to Great," will include meetings in Baton Rouge, Monroe, Shreveport, Lake Charles, Lafayette, Franklinton, and New Orleans. This fiscal year is pivotal to the future of the SU System says SU System President Ronald Mason Jr. "The 'Reform and Renewal Agenda' as reflected in the Transformation Plans approved by the Board of Supervisors in June, charts a new, exciting path for Southern. When achieved, Southern will be a 21st Century institution of higher learning. In addition, initiatives to increase enrollment are underway. There is much work to be done in order to secure the future of Southern." Also joining the 2013 tour is the Bayou Classic Roadshow featuring the Bayou Classic RV that will provide exciting promotions for the 40th Annual Bayou Classic. The public is invited to join President Mason as he shares the "Reform and Renewal Agenda" -- SU's path to the future, built on traditions of the past. Baton Rouge, LA – Southern University Ag Center’s extension associate for community garden, Stephanie Elwood is responsible for the vegetable garden at the New Light Missionary Baptist Church, which was created May 2013 to provide exercise and fresh produce for seniors. This area of north Baton Rouge is considered a food desert. The USDA defines food deserts as urban neighborhoods and rural towns without ready access to fresh, healthy, and affordable food. The lack of access contributes to a poor diet and can lead to higher levels of obesity and other diet-related diseases, such as diabetes and heart disease. 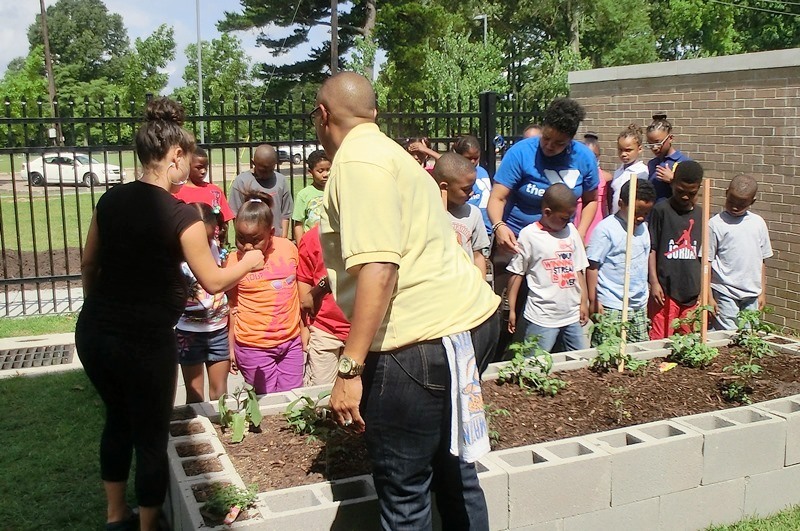 Gardens help bring relief to food deserts. The SU Ag Center, by creating gardens in the community, is contributing to the improvement of the quality of life of local residents. Elwood worked with the seniors to establish the garden on church grounds in the Scotlandville area. The church is located at 650 Blount Road, Baton Rouge; Rev. Gil H. Wright, Pastor. Elwood delivered three types of vegetable seeds (tomatoes, cucumbers, and squash) for the church garden and worked diligently with members to establish a raised bed for planting. 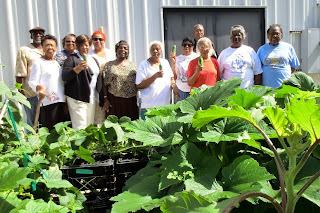 “The garden provides the seniors in the church opportunities to exercise and eat healthy, she stated. The senior citizens meet daily from 9 am-2pm; part of this time is spent nurturing the garden, which is complete with ornamental sunflowers and citrus trees. Ms. Mable Franklin is the director of the Senior Citizen Program at the church, assisted by Riley Underwood. “We are so excited about the garden; the deacons encourage us, and we have a wonderful time. It’s fun, fun, fun,” said Franklin. 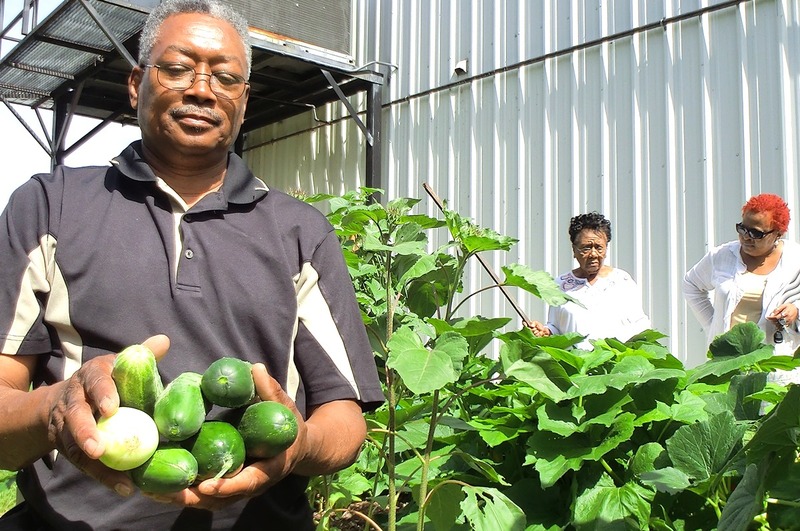 “The folks at Southern are very cooperative and supportive, and we are looking forward to the fall garden with all the greens.” The garden is producing cumbers in abundance for making salads, sharing and even selling some to local residents. Story and photos provided by Angela Jackson, Administrative Assistant at SU Ag Center, and New Light Missionary Baptist Church member. Baton Rouge, LA - In May, the Southern University Ag Center launched a series of classes for Faith-Based Leaders in New Roads, Pointe Coupee Parish, through its Building Opportunities Leadership Development (BOLD) program. Classes were held every Saturday for six weeks, with the goal of enhancing and strengthening faith-based leaders to better equip them in serving their institutions and communities. 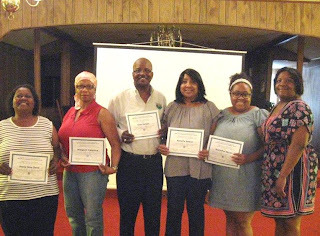 On June 29, the BOLD for Faith-Based leaders held its completion ceremony in New Roads, for seven participants who successfully completed the class curriculum. The classes were taught by Dana D. Isaac, Grant Assistant. BOLD is a statewide grassroots leadership development project under the direction of Dr. Kenyetta Nelson-Smith, assistant specialist for community and economic development. BOLD for Faith-Based Leaders is an extension of the BOLD project, focused solely on faith-based institutions, ultimately benefitting individuals and families in the faith communities that participants lead. For more information on how to have this class offered in your community, please contact Ms. Dana Isaac at dana_isaac@suagcenter.com or call 225-771-3902. Baton Rouge, LA – The SU Ag Center will hold a free healthy living workshop for youth ages 14-17 on its satellite campus, the Southwest Center for Rural Initiatives, located in Opelousas, St. Landry Parish. Yesterday, the Opelousas Daily World announced the free healthy living workshop for youth to be held July 15-18, from 8 a.m. to 3 p.m., at 1209 Diesi St., Opelousas. Click here to see full announcement online or call the Southwest Center at (337) 943-2410 for further details. Registration forms can be picked up on location and returned no later than 5 p.m., Friday, July 12, 2013. The workshop is organized by Ursula Ransburg, associate youth agent, St. Landry.